Lynne Overman rides a bike. 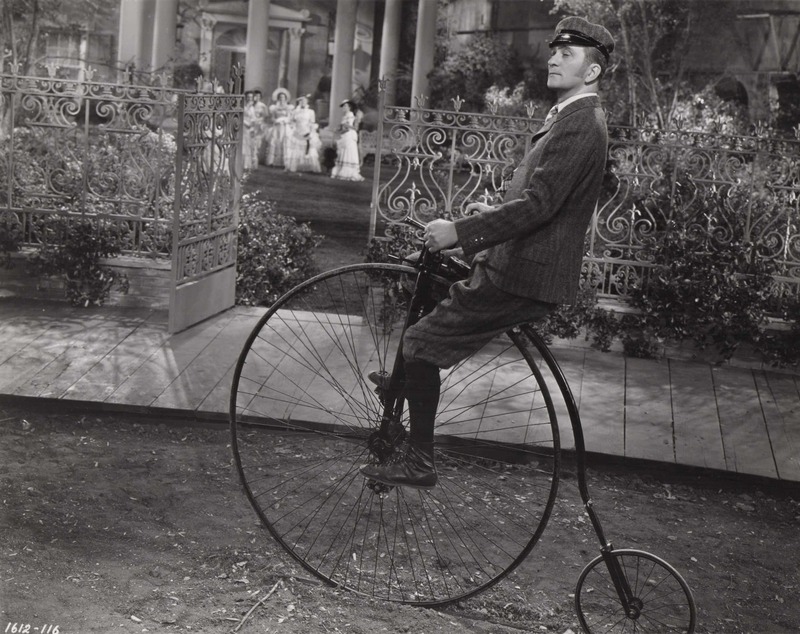 Lynne Overman rides a high-wheel bicycle in a production still from the 1936 W.C. Fields comedy, Poppy. Overman, who began his acting career with an uncredited part in 1928’s ThePerfect Crime, plays the lawyer Eddie Whiffen in Poppy. The title role belongs to Rochelle Hudson, who can also be found riding a few bikes if you do a name search on Rides a Bike!